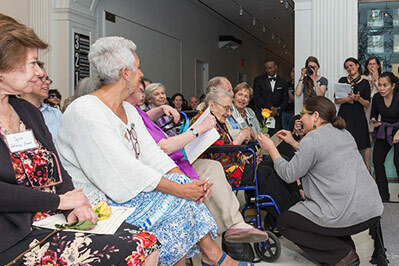 The Lemlich Awards honor women who have been working for the larger good their entire lives, in the tradition of those who sparked so many reforms in the aftermath of the Triangle Shirtwaist Factory Fire over one hundred years ago. 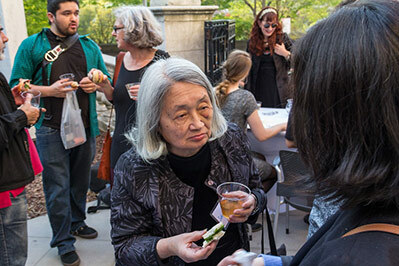 Photographs from the ceremony by Ravi Ragbir. See more on our Facebook page. One hundred and three years later we are proud to honor her legacy and to honor those who follow proudly in her footsteps. Rachel Bernstein is a co-founder LaborArts.org, taught in the graduate program in public history at NYU for decades, and works on public history projects with the Robert F. Wagner Labor Archives at NYU and the Brooklyn College Graduate Center for Worker Education in lower Manhattan. She is author, with the late Debra E. Bernhardt, of Ordinary People, Extraordinary Lives: A Pictorial History of Working People in NYC. Gale Brewer is the 27th Borough President of Manhattan, elected in November 2013. She represented the Upper West Side in the NY City council for over a decade, helping to pass legislation helping domestic workers, requiring NYC publications to be made available via the Internet, and much else. Helen Rosenthal represents the 6th District, which covers Manhattan’s Upper West Side. Elected to the City Council in 2013, she is recognized as a strong advocate for public schools, affordable housing, gender equality and economic empowerment. 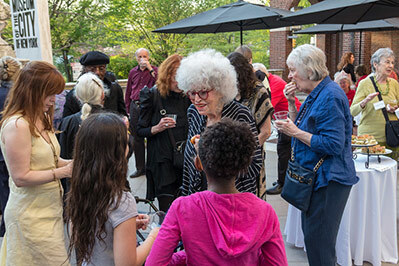 Perry Rosenstein is president and co-founder (with his wife Gladys Rosenstein) of the Puffin Foundation, dedicated to “…continuing the dialogue between art and lives of ordinary people.” The Puffin Gallery for Social Activism at MCNY hosts the Lemlich Awards tonight. Veronica Ordaz has worked with LaborArts since 2014, and did programming and outreach for StoryCorps for many years. She is currently a member of Interference Archive, active with their Educational Working Group. She is committed to expanding access to the arts and humanities. Evelyn Jones Rich has been a public school teacher and principal as well as an Associate Dean at Hunter College/CUNY, and an historian of African history. 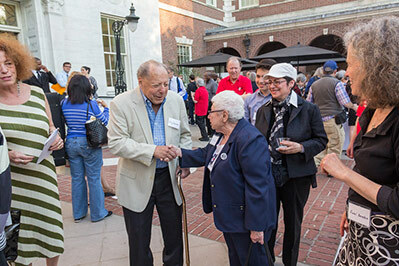 In retirement she served as Executive Director of The Shelley and Donald Rubin Foundation. She is a co-founder of Labor Arts and a lifelong trouble maker and activist in the fight for civil rights, effective education, and for the rights of senior citizens. Susan Onuma is the first woman president of the Japanese American Association, currently serving her second term. She serves on the boards of the US Japan Council, the Japanese American National Museum and is of counsel to the Japan Society Board. Michael Miller is Clara Lemlich’s great-grandson. He is a freshman at the Bronx High School of Science where he is on the Speech and Debate team and the Junior Varsity Baseball team. He was an alternate representative to the Student Senate this year and he will represent his class next year in the Student Senate. Minerva Solla became an organizer for Young Lords in NYC in the 1960s and has remained committed to helping working people discover their own power ever since. She has been a delegate, strike captain, organizer and vice president at 1199 SEIU for nearly thirty years. Toby Emmer has been on picket lines all her life, and in 1972 she ran for Dane Co. Sherriff in Madison, Wisconsin, as a protest campaign against the war. She's been a teacher and teaching administrator for many years and runs the UAW Region 9 Education Fund. Robert Jackson represented District 7 (including Harlem and Washington Heights) in the New York City Council until term limits ended his service. As Community School Board 6 President, together with Mike Rebell, he founded the Campaign for Fiscal Equity in 1991. He was a candidate for Borough President of Manhattan in 2013. 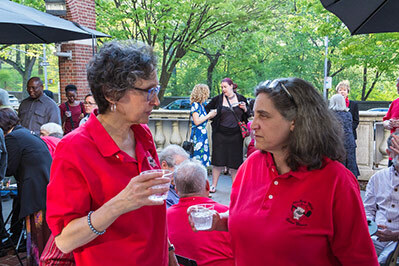 Mary Anne Trasciatti is a labor activist, a professor in the department of Rhetoric at Hofstra University, and a mainstay of the Remember the Triangle Fire Coalition. Marlena Vega is nine years old and is in fourth grade at Central Park East II public school. She loves Archie comics and she dreams of leading a huge protest in Central Park against pollution along with a career in acting. Lena Habtu is ten years old, in fifth grade and will graduate this June from Central Park East II. She loves writing Realistic Fiction novels and currently is the co-creator and editor of the Starlight Newspaper. Laura Wolfe, musician, vocalist and songwriter, has sung with gospel choirs, East Indian music groups, the synagogue group called Romemu, and in the European tour of “Hair,” to name just a few. A student at LaGuardia H.S. and then Oberlin College, she has several albums of original songs, starting with “Siren,” and “Tunes for Tots,” for children, with her mother Mimi Stern-Wolfe. Donald Rubin is co-founder with his wife Shelley Rubin of the Rubin Museum of Art. The Rubin’s large collection of Himalayan art provides the core of holdings in the Rubin Museum of Art. Rubin was the founder of MultiPlan, Inc., a major general service PPO health provider. He serves on the board of The Shelley & Donald Rubin Foundation and is a member of the Global Philanthropists Circle. New York City Labor Chorus, with 75 members representing over 20 labor unions and District Councils, was founded in 1991. The Chorus promotes union solidarity by expressing through song the history and ongoing struggles of workers for economic and social justice. Its dynamic repertoire combines the power and culture of union music with the great gospel, jazz, classical and folk traditions. 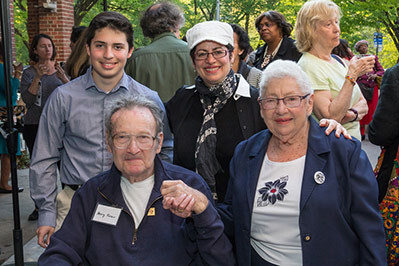 he fifth annual Clara Lemlich Awards were generously funded by The Puffin Foundation and The Shelley and Donald Rubin Foundation. 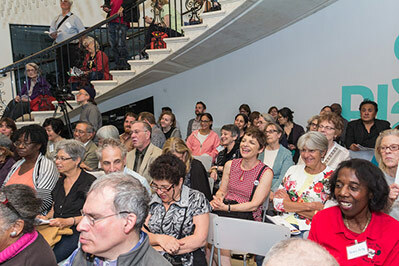 They are hosted by LaborArts, the Puffin Foundation Gallery for Social Activism at the Museum of the City of New York, and the Remember the Triangle Fire Coalition, and were organized by Evelyn Jones Rich, Sherry Kane, May Chen, Esther Cohen and Rachel Bernstein. Many thanks to all who contributed, including the amazing NYC Labor Chorus, and Anne Newman Bacal, Lisa Daniels, Courtney Francis, Frannie Kent, Michelle Levengood, Theresa Luongo, Patch and Terry Schwadron, Daniel Sitts, Stephanie Thompson, Georgia Welch, Rachel Yood, the NY Labor History Association, and Jewish Currents. 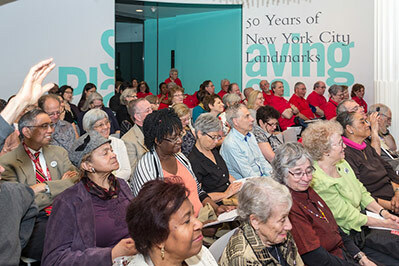 We invite you to visit the Puffin Gallery for Social Activism at MCNY, and to visit related online exhibits from LaborArts including The Triangle fire, Women Firefighters in the FDNY, and Defending the Social Safety Net, and to keep up-to-date with rememberthetrianglefire.org.